John C. Maxwell, renowned author, noted in his book “Winning with People” that every person has something to share—a lesson learned, an observation, a life experience. As educators in the state of Tennessee, it is our professional responsibility to share researched-based best practices, have a growth mindset, and make every decision that will be in the best interest of our students. Right now, we have been empowered through the Tennessee Education Research Alliance (TERA) and the Tennessee Department of Education to share the current educational experiences in our schools. In order to take advantage of this opportunity, all we have to do is take 15 – 20 minutes out of our day to complete the 2018 Tennessee Educator Survey—the survey window closes on Friday, April 20th. By sharing and voicing our opinions concerning our school’s culture, we can continue doing what is right by our students—and that is to give valuable feedback to state and local policymakers concerning matters affecting our schools and classrooms. Feedback also matters at the school level. As a principal, it is critical for me to know and understand what the teachers in our building think about our school climate, the feedback they receive, and the quality of their professional learning. 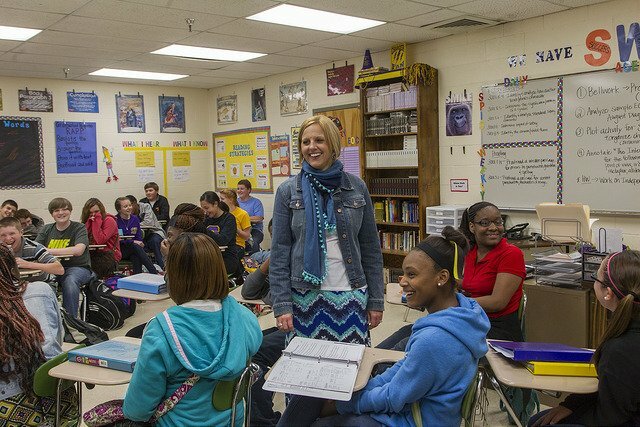 The Tennessee Educator Survey gives them an opportunity to voice their opinions confidentially. • All individual responses are confidential, but TERA will share aggregated school-level results for all schools with at least 45 percent participation. • If the aforementioned threshold is met, you will receive your school-level results by the end of May. • Every survey participant becomes immediately eligible for a weekly lottery that will award $300 classroom grants. • Schools that reached or exceeded 90% participation by April 6th have become eligible for a lottery that will award seven $2,000 staff appreciation grants. Let us continue sharing the experiences concerning educational practices across our state, district, and schools so we can continue being the defining difference in our students’ lives. By working together and on one accord, we can ensure our students are equipped with the tools needed to graduate from high school prepared for postsecondary education and the workforce.